I love this. 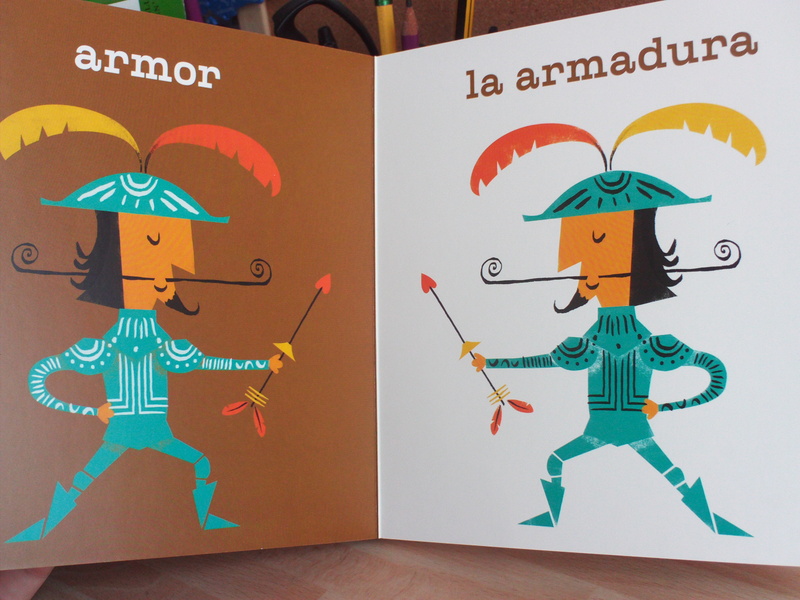 It’s a board book which introduces some of the key words in and around the story of Don Quixote, in both English and Spanish. Each spread deals with one particular moment ‘castle / el castillo’ and delivers a vibrant, chunky drawing underneath it which ties back into the word. The noises are translated as well: ‘baaa’ / ‘beh beh’ for the goat, and ‘zzz’ / ‘sss’ for the snoring in the ‘bed/la cama’ spread. On the back page of the book is a phonetic translation of the words in two columns: one for English speakers and another for Spanish. It’s such a lovely glorious book with images that are chunky and thickly coloured and intensely evocative in their precise, clean nature. One key thing to mention – and I grant that this is such a finicky note on a very good book, but it’s something that is worth mentioning. I’d have welcomed a little more consciousness of the role of the gutter within the book. Some of the double page spreads are beautifully aware of their construction; the ‘armor / la armardura’ one for example sees both figures facing into the middle of the book, mirror images of one and another and thus they tie the language down very specifically to both images. Sometimes the colour notes on each one vary, yellow flowers instead of pink, a brown goat instead of a white one, but the construction of these images do not change. There is an inclusion about these spreads. 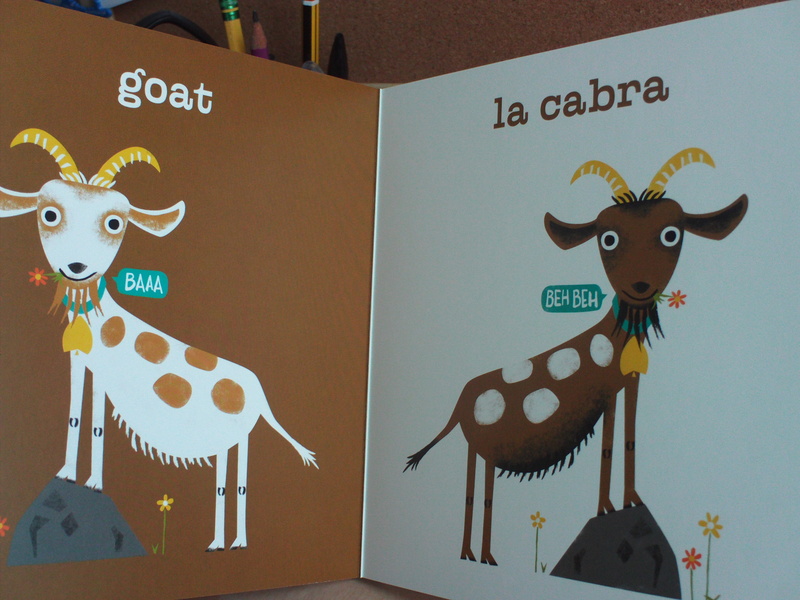 You know that the ‘goat’ on one page is ‘la cabra’ on the other. 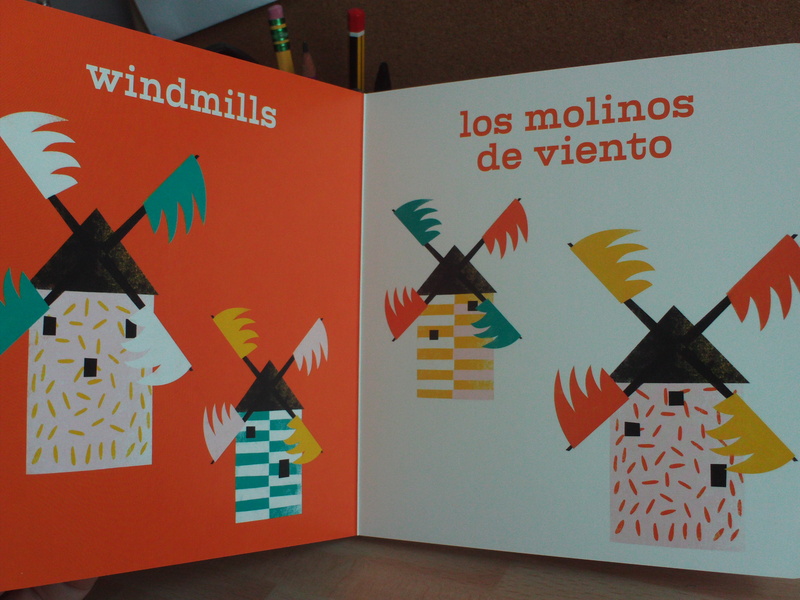 Other spreads such as the ‘windmills / los molinos de viento’ see two separate images without this mirror construction; ‘windmills’ has a bigger windmill to the left of it and then one smaller to the right, whilst ‘los molinos de viento’ has a smaller windmill to the left and a bigger one to the right, thereby matching the stylistics of the previous page, but not the mirror images of the other spreads. It’s a very finicky note in a rather lovely book but things like this matter within a language primer, particularly for this age. Are you telling the children that windmills are image a) or image b) ? (And particularly, with something potentially quite removed from a child’s experience, are you asking them to link the word with the windmill or that windmill, the little one or the big one? And how are you asking them to engage with this page – where do you want your reader to be, even at this age, at this point in the text? How do you want them travelling over the page? Do you want them to start with one method and then shift to another or not? All questions that, I’m sure, are addressed as part of this lovely series, but they’re all questions that strike me as being centred around issues of construction and concern for readership. I mention all of this because this is a book very much on its way to being perfect. I love things like this that deconstruct classics and reconstruct them in accessible, fun and contemporary ways. I have never read Don Quixote. I’ve never had the inclination. But right now, I sort of do, and I think that’s one of the massive powers of a book like this. It opens (and re-opens) doors into texts. Alice in Wonderland is a text that has been subject to a most phenomenal process of transformation from its original publication to date. I suspect that there are very few other children’s texts which have been integrated so wholly into our cultural consciousness; we know of the white rabbit, of the blonde girl in the blue dress, the Mad Hatter and the Cheshire Cat. We know one, or all, of these or other symbols and metaphors from the texts and even if we don’t know the context of these symbols, we know of them. Alice in Wonderland is a text that has been read, consumed, remade and reconsumed a thousand times. It is a text that stands beyond itself now, beyond its initial textual boundaries, and will, I think, continue to do so. And so, there are many adaptations of it. Many remakings of it. Inevitably, really, what with the text being in the public domain, and thus freely available for adaptation and remixing. Some of these work better than others. All of them continue to perpetuate the ideas of Alice, the shape of her story and the tone of her world, regardless of how effectively they remake and represent their version of the original text. Alice isn’t Alice any more. She is extra-textual and in some instances, almost peritextual. But here, in this board book, she is perfect. Alison Jay’s version of Alice stopped me in my tracks. Quite literally. I was browsing a display of Alice books in a shop, seeing all the usual suspects, and then I saw Jay’s work. 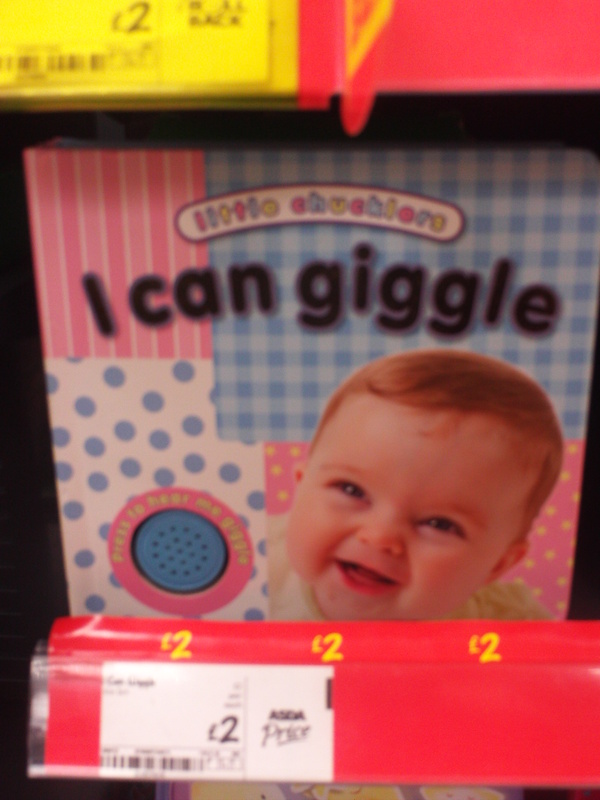 It is a small boardbook, robust as all board books must be, and the cover shows a too big girl staring down at her body with surprise as she struggles to fit inside the room. One arm bends awkwardly against a door; another sprawls out of a window, and all of this is coloured in a sort of delicious sort of fresco, full of gentle warm tones upon a cracked background, as though the image has been painted on a wall and left to soak into the building, to become part of the every day structure of somebody’s life. It is lovely. The book itself is structured in a series of double page spreads and individual images, each of which is paired with a verb taken from the Alice text: fall, run, drink, shrink, eat, grow, swim, share, smile, party, parade, play, dance, sleep. This final image sees Alice herself fall asleep on the lap of another lady dressed in pink, her skirt flowing across two pages in a rich curve that crosses from corner to corner, and her head hidden by a sunhat. It is an oddly beautiful moment to end the book and one that speaks well of its consideration of its target readership. Books like this are made for sharing, for teaching about books and colours and shapes, and though some of the images are quite abstract and some of the words a little complex when viewed in isolation: ‘share’, this is a book made for reading through in completion and embracing the gentle warmth of that last ‘sleep’ image. 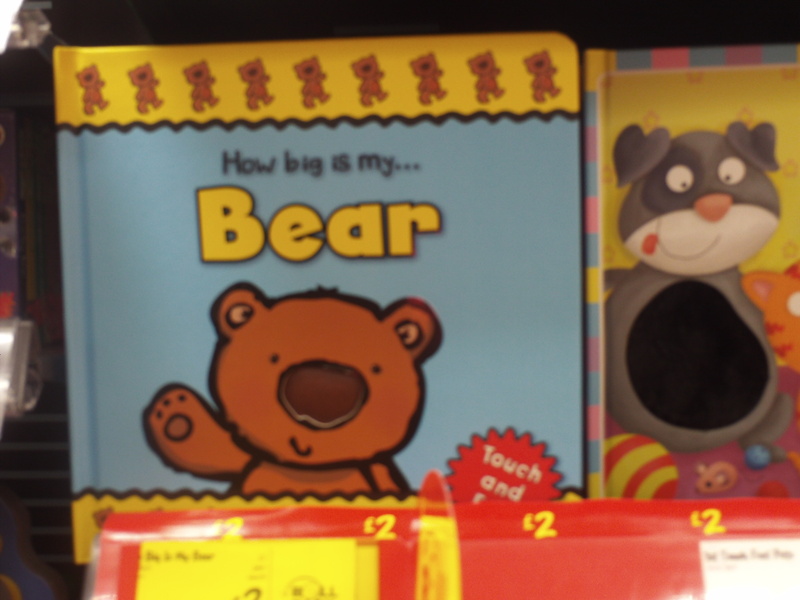 I love board books like this that challenge our concept of what a board book can do. Alice’s Adventures in Wonderland is constructed as something quite beautiful; a languid, summery exploration of dreaming and of surreal juxtapositions of a beaming cat’s face with the pure precision of ‘smile’. This is a book to return to for quite some years. In addition to that, I think there’s an element here that would appeal to scholars of Alice. Jay’s distinct emphasis on the dreamlike world of Wonderland is worthy of attention: her shifts in perspective, the subtle shapes of background elements and the way that Alice is very distinctly asleep at the end of it; all of these are elements that suggest something very particular about Alice and what her adventures in Wonderland actually are and have been. This is a book that, the more I look at it, the more I see. I will always stop for books that transform every time I look at them. This is a fascinating thing. I don’t review that many board books. A lot of this is due to the fact that they’re just not really things that come across my radar. Some of this is due to the fact that they’re always fairly well beaten up in any library (and this is a good sign, trust me, because they’re being heavily used) and also because I’ve never seen much space in the books to *allow* me to review them. Picture books, yes, they’re full of space – but board books? They’re complex beasts; texts designed more to engage a child with the *idea* of literacy than literacy itself (which is something, by the way, that I shall be writing about in the future). I find them fascinating but I never really found them reviewable. Max’s Wagon is an utter joy. It’s probably the most perfect board book I’ve ever read. I picked up whilst shelving one day and flicked through with vague interest. This vague interest of mine turned to a rapid and intense love. It’s a simple, elegant story. Max is putting things into his wagon. This includes toys and his dog; a mildly perplexed, Gromit-esque hound who obediently jumps in and then helps Max to pick up all the things that fall out of the wagons. Max’s ball gets put into the wagon, it falls out, and gets put back in. Max’s car gets put into the wagon, falls out, and gets put back in. 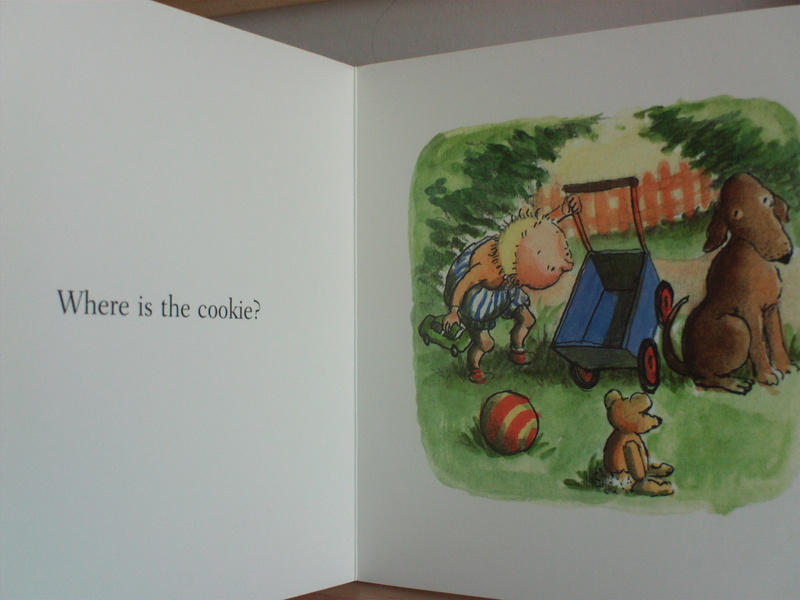 Max’s cookie goes into the wagon, falls out …. and ? 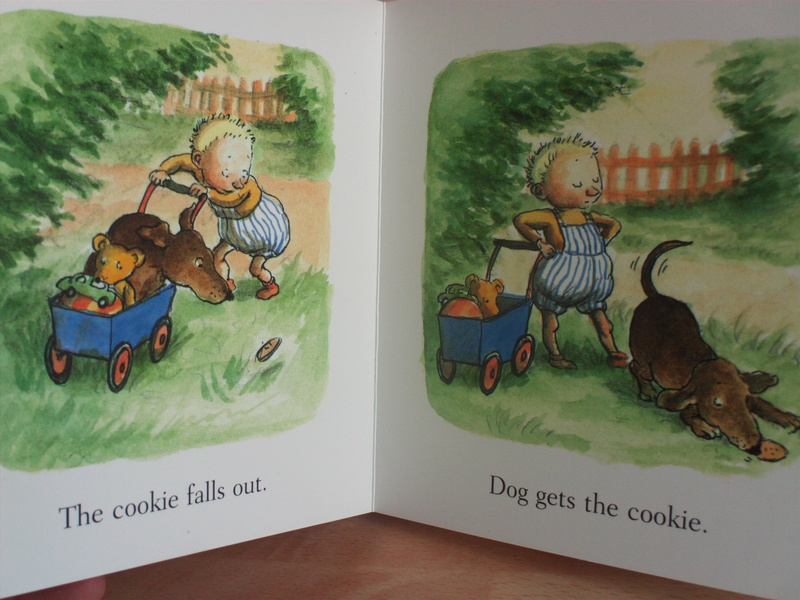 The last panel; a *very* innocent dog sits on the side of a wagon being carefully studies by Max who is very concerned as to where his cookie has gone. 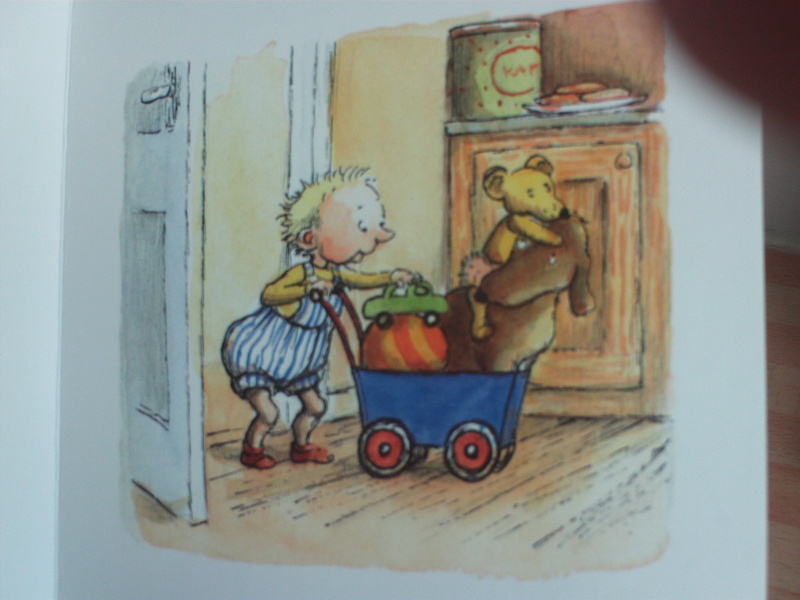 Nothing is explicit, there’s no crumbs on the dogs face but the teddy is looking right at the dog (and so’s Max, his body language is towards the dog) and so our eyeline is automatically drawn to the right hand side of the page. And the dog? Well, he’s sat there with an expression very familiar to anybody who has ever done anything that they shouldn’t have done. It’s adorable. Such a small moment but it’s so vividly drawn and constructed, the dialogue between the understated text and the understated drawing, I could bang on for hours about this panel but I won’t. Suffice to say, it’s beautiful. That little note of doubt (who ate the cookie? Where’s the cookie gone?) is such a glorious way to end this because it opens the book up to questions and dialogue and conversation. It opens up a reader to the possibility of a conversation going beyond the space of the book and that possibility is something that can be returned to and interrogated as the child grows up. It’s just perfect and I love this book so much for what it gives to the reader. Because it’s everything. I was excited to receive some items from Priddy Books recently; several titles from their new range – the Little Friends books. I like Priddy Books. I’ve featured their books before, as I like what they do and I like their production values. They are quality, solid books and these are no exception. They are, if I’m honest, perhaps a little too twee for my taste. I’m always one for the more avant-garde side of book production, so I think something like the ‘hello baby’ mirror book edges out in my Personal Priddy Ranking. This is a personal response though and it’s always interesting to actually consider the facts with books like this. There’s evidence that children read emotion into colour and have certain emotional responses to certain colours – whether that’s natural or socially inculcated is something I’ll have to read up on a lot more on (I’m hoping to get my hands on this in the near future) . What is clear is that colour and images are a stimulus to a response, and there’s something very calming about this colour scheme. All of the books have a very mellow, muted colour structure which should lend them very nicely towards bed-time reading or some close parent-baby bonding. Inside, these books are really beautifully produced and you can see a better picture than I can ever hope to achieve on the Priddy website here. I love how easily a lot of the spreads would translate to prints, which speaks of the aesthetic quality of them. My only concern re the production was that the copy of ‘Hello Friends’ was poorly bound and came unstuck very quickly at the top of the book, so I’d be concerned about the longevity of it. That aside, the other books are deliciously lovely and I had a lot of time for the lift the flap parts of ‘Home Sweet Home’. Genuinely, a good lift the flap book is an utter joy and of the four, this was my favourite. 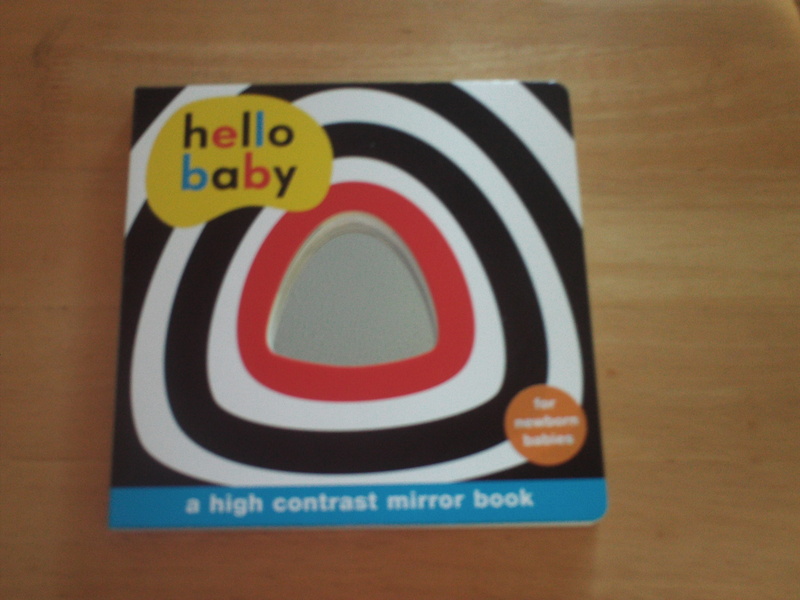 hello baby : a high contrast mirror book is one of the new titles (September 2012) from Priddy Books designed specifically for newborn babies. My thanks to Priddy Books for sending me a copy of this to have a look at. 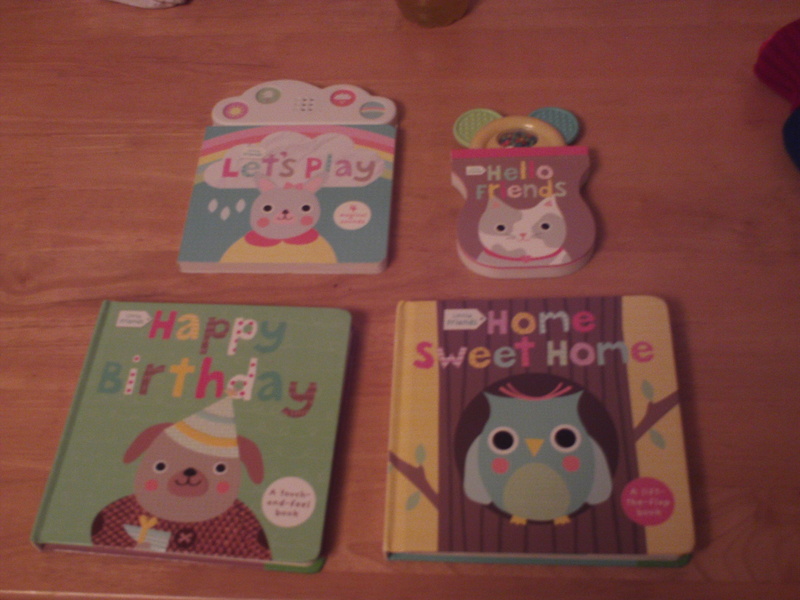 It’s part of a wider range of books for newborns and the other items can be viewed here. Before children become literate, they are pre-literate. The process of becoming literate is known as emergent literacy. It’s a massively fascinating area primarily because of the rapid developmental that occur. You can read a more in-depth post I did on this topic here and another interesting paper here which illustrates some of the key developmental shifts. What’s the state of play with these books at the moment? I did a very informal survey of my local ASDA to see what was easily available. I know it’s not technically a bookstore but bearing in mind that Tescos, for example. is pretty much heading straight on to confront Amazon, I think discounting the reach and impact of supermarkets (no pun intended) is something we should be very careful of doing. So this is what I found. 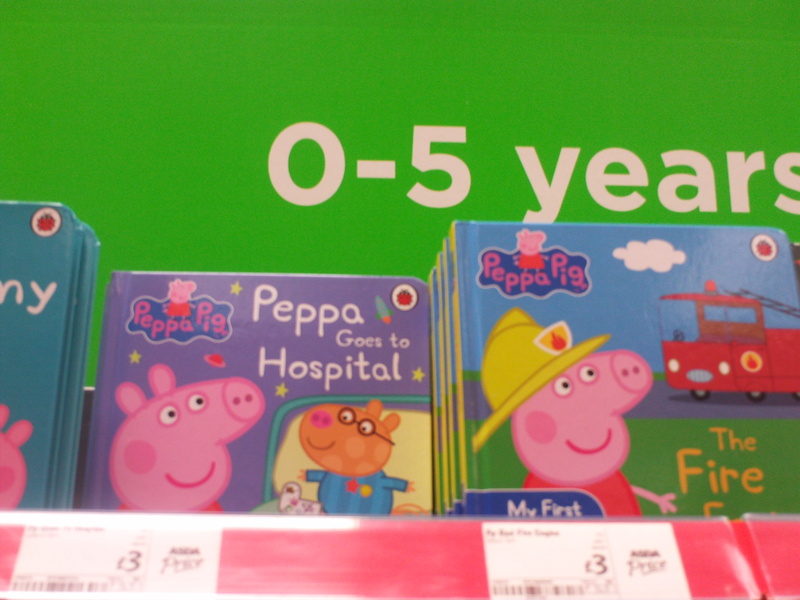 Baby books are genuinely brand-related, and part of a wider media profile. 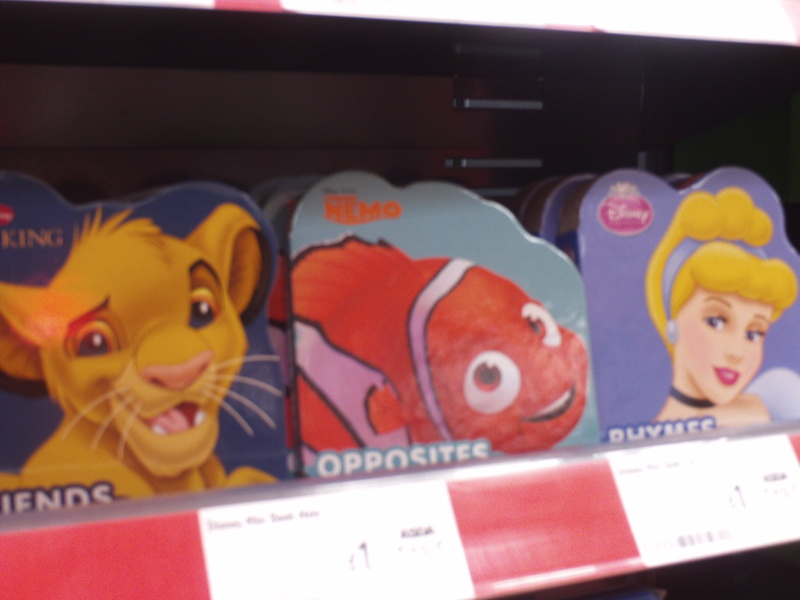 We had Peppa Pig, The Lion King, various other Disney franchises and a few of the more ‘traditional’ baby books along the lines of ‘is this my bear’ and ‘press here for sound X. Whilst I obviously don’t take this informal survey to be indicative of the wider market, I do think that based on the uniformity of supermarkets, there’s definitely a place in the market for the ‘hello baby’ books and I’d welcome them being actively promoted as an alternative to the above books, some of which really didn’t impress me. I have a lot of love for this book. 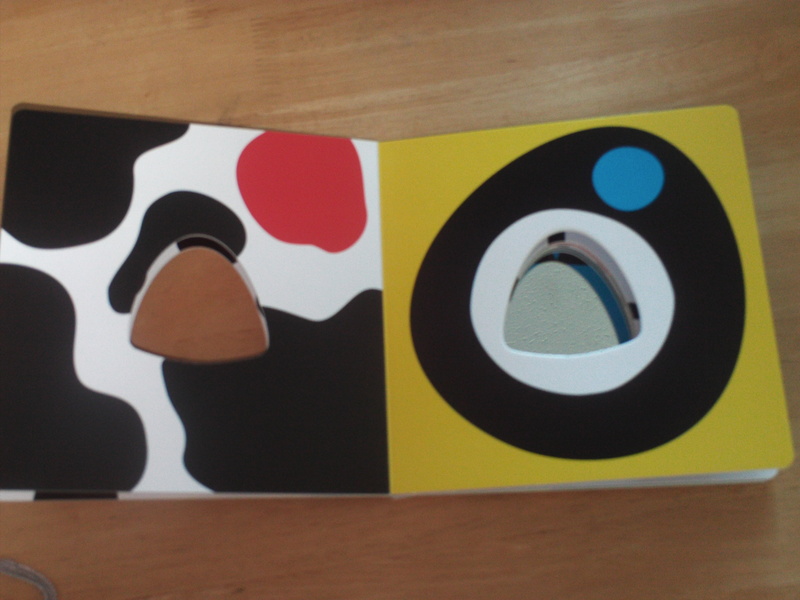 hello baby is a conceptually exciting and visually pleasing book, reminiscent at points of Black and White by Tana Hoban. Produced in thick, solid, chewable board, it has a central cutout throughout the book with a mirrored panel on the final pages. This title is priced at £4.99 which seems about right (I note it’s already on Amazon at half price from some retailers). Consisting of five spreads (ie: ten pages), it has no words and instead focuses its impact on a series of abstract images from a colour palette of black, white, red, yellow and blue. 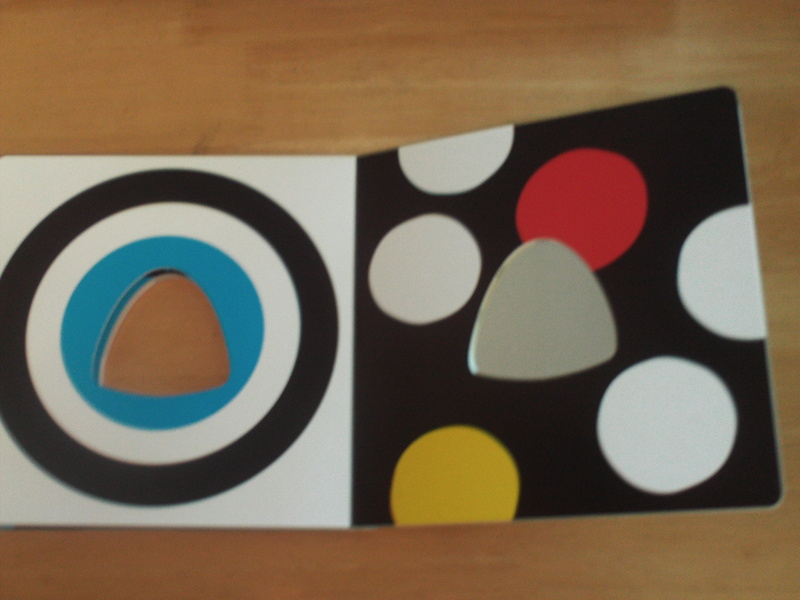 Each page has a separate image with a hole in the middle, and the final page has a mirror inset in the hole. It’s a fun, gorgeous and very visually stimulating book. I can imagine there’s a lot of fun to be had just looking through this and using it as a springboard for colour, shapes and self-recognition. 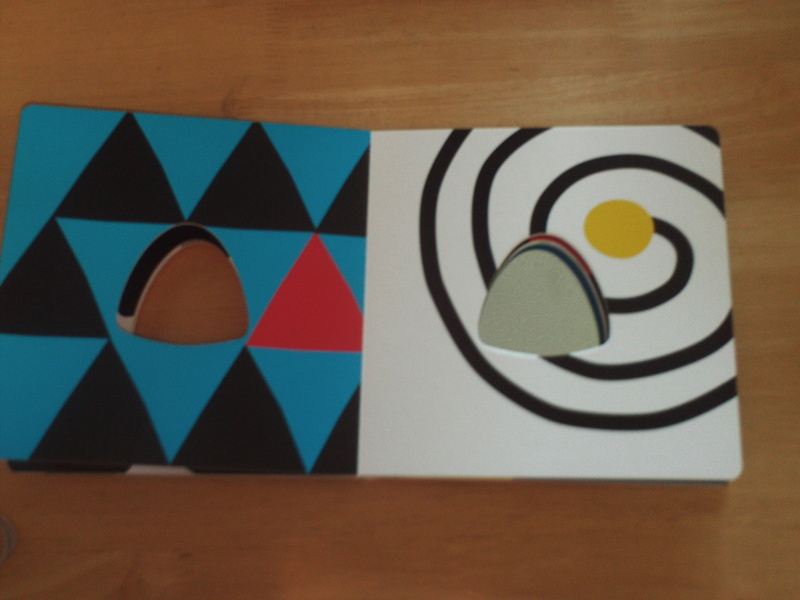 This is a really solid and very gorgeously designed book and one I’d massively enjoy sharing with babies as I think there may be a lot of pleasure to be experienced on both sides. You never know what may happen, they may grow up to be the next Miró..!